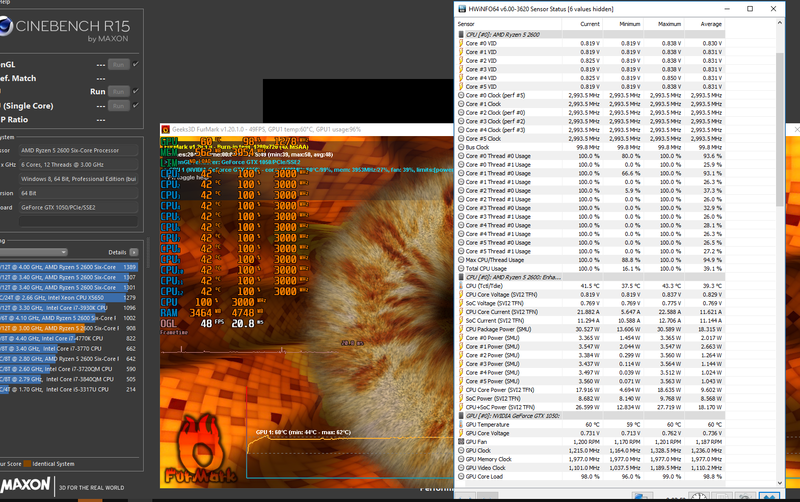 I was quite surprised that my GTX 1050 2GB is able to perform similar to stock with a medium overclock and TDP limitation while saving 15-25% of power. Surely the card is considered to be an entry card (especially with 2GB) but it is probably the best low power card you can get. 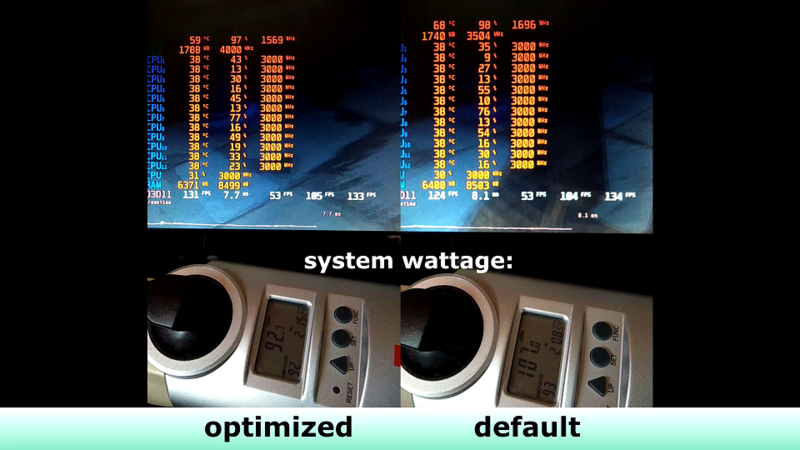 I tweaked my desktop PC to below 98W on full load (cinebench R15 + Furmark, 115W at the wall, 85% PSU efficiency @~100W) while maintaining a solid gaming performance. Even laptops struggle to get that level of performance per watt, which is ridiculous. Has anyone tried this with a GTX 1060 or higher? I have both a 1050ti and 1060 folding. 1050ti @ 1949 draws 112w from the wall. 1060 @ 2138 draws 170w from the wall. the 1050ti is folding on a file server that I have, so the CPU is seeing a good load for the camera system I have on it. op, try turning off SMT instead of underclocking your cpu. Should consume the same amount as underclocked. Also, may I request you post a screenshot of your system at load using HWINFO64? Thanks. By just turning off SMT I would need much higher clockspeed and voltage to reach the same multicore performance, which results in a much higher power draw, especially when the CPU is loaded with more tasks. Some games would perform a little bit better in situations where a high clockrate is needed (i.e. CS:GO on low) and no GPU bottleneck is present. I'll post the ss in a few minutes. Last edited by energysaver; 02-05-2019 at 09:31 AM. Idk what you exactly want to see, if something is missing, just tell me. Thanks. I wanted to see the Core Package Reading. I see 31W. That is like half the wattage from normal. Nice. EDIT: My R5 1600 Stock and a GTX 1060 uses about 170W (after 85% eff). If I know how to undervolt the GPU I would since it reaches 83c at stock. Last edited by rdr09; 02-06-2019 at 01:19 AM.